I met Domonique & Darryl in Wilmington when they arrived for their engagement shoot at Hugh Macrae Park. They had driven all the way from Fayetteville, not necessarily needing a wedding photographer, but they wanted to capture special images from their engagement stage and I was so happy to do that for them. Check their engagement session out here! I felt a real connection to them right away, and secretly hoped that something would work out and they would need me for their wedding after all. 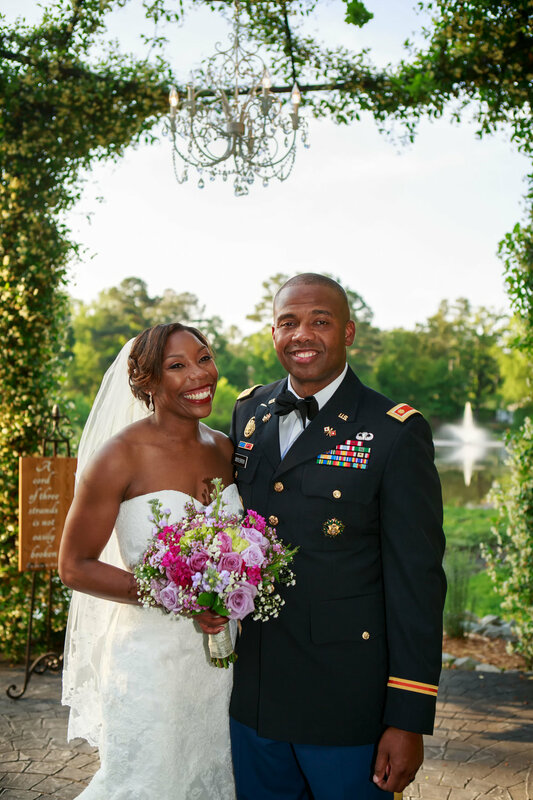 As luck would have it, they did ultimately choose me to photograph their Vizcaya Villa wedding in Fayetteville, North Carolina and what an awesome day it was! How sweet was that First Look between Domonique and her Dad! I love those wedding moments!!! Not a dry eye in the house. While I was photographing the girls, my second shooter Erica was with Darryl and the boys photographing their wedding prep. 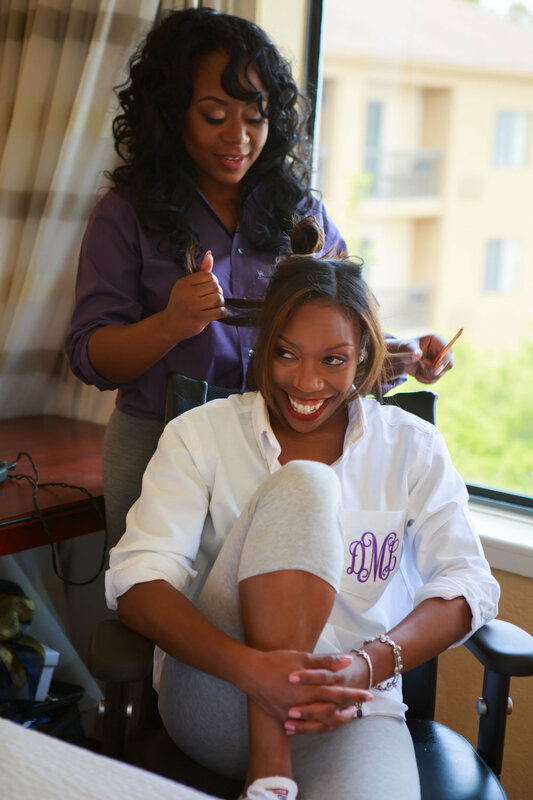 This is typically what we do when we work weddings, I will stay with the ladies all morning while they do their hair and makeup, documenting those candid moments in between, while my second shooter hangs out with the men! 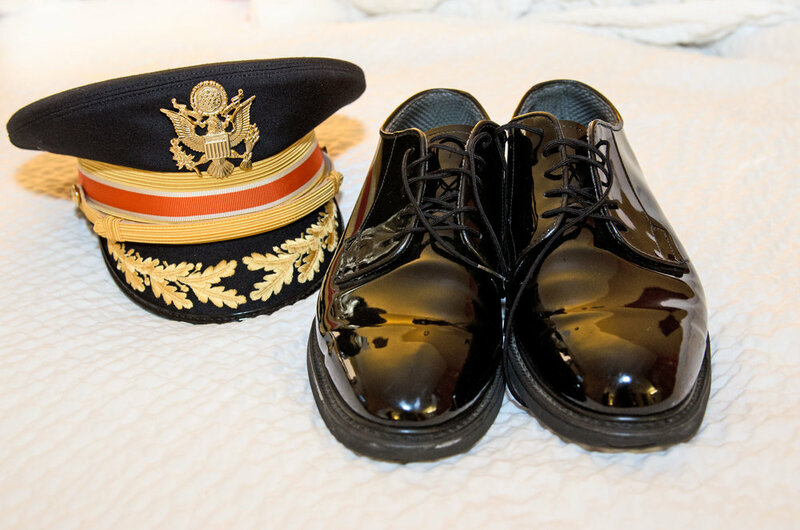 Military weddings have my heart! 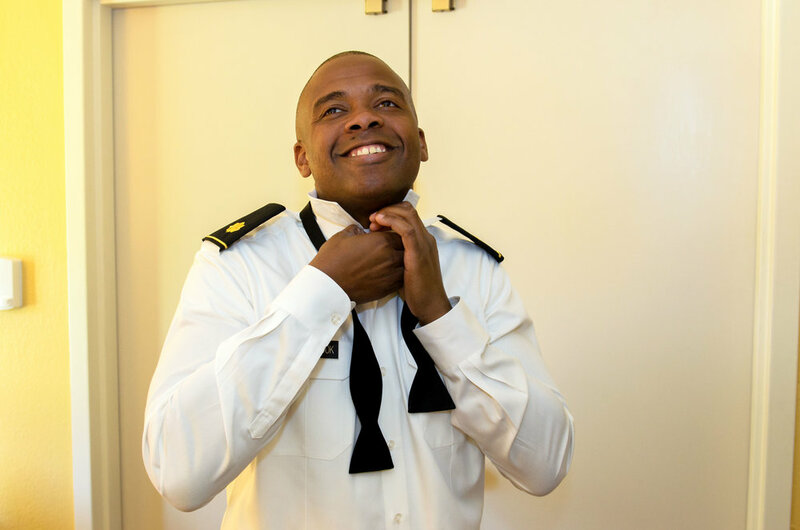 I grew up an Army brat, with both Navy & Air Force grandparents, married to a man who was an Army medic, so when I get requests for military weddings, the heartstrings are pulled and I am so on board! The ceremony at Vizcaya Villa in Fayetteville, North Carolina was absolute PERFECTION. The ceremony location is stunning, in the middle of garden on their property, overlooking a pond, under a beautiful vine-wrapped wrought iron trellis. We spent a few minutes after the vows photographing the couples' family & friends, before setting off to take Bride & Groom portraits in the garden. 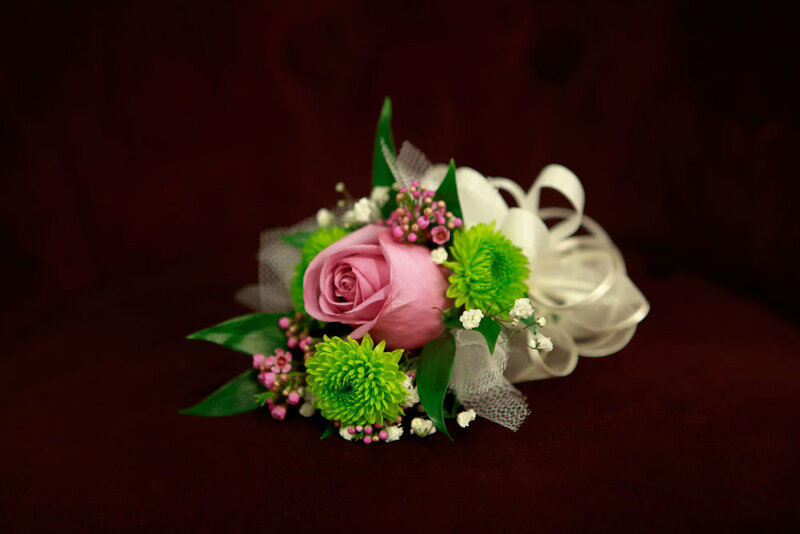 Absolutely perfect bouquets from Rainbow Florist in Fayetteville, NC. 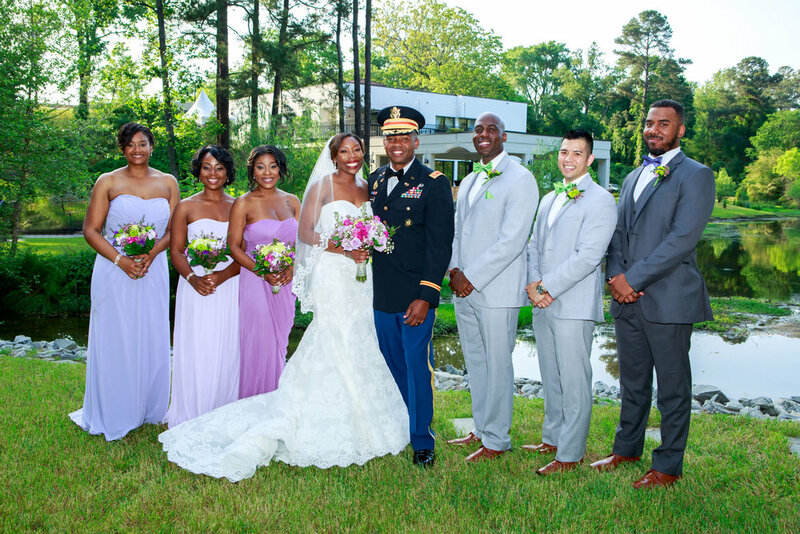 They could not have complimented the bridesmaids' dresses better in shades of lilac, lavender, magenta and plum. Friends, let's talk about this stunning David Tutera gown! A) How gorgeous does Domonique look in this gown that fits her like a glove. B) Domonique had a wedding goal of David seeing just how amazing she looked, and we actually made that dream come true via this Instagram post! On to the reception. It's a shame this couple had no fun at their wedding, am I right? Dancing, laughing, the best family & friends! One of the most special moments for me was when Domonique was surrounded by her sorority sisters as they sang their traditional song, with tears filling Domonique's eyes. Beautiful! Loved every minute of it and who doesn't love a sparkler exit?? I wish you nothing but happiness as you begin your life together!